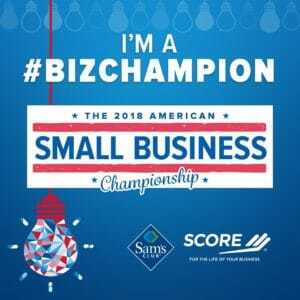 [Minneapolis, MN]─ 6/1/2018 A Minneapolis-based tech business which assists organizations facing ADA (Americans with Disabilities Act) website accessibility lawsuits, founded and operated by digital experts who live with disabilities, WeCo Accessibility Services (WECO), has been named a winner of The 2018 American Small Business Championship by SCORE. 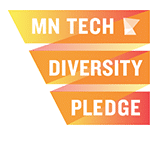 SCORE is the nation’s largest network of volunteer, expert business mentors. The competition is being sponsored by Sam’s Club. 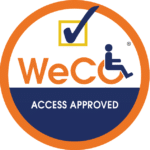 Minneapolis, MN – September 24, 2015– WeCo Accessibility Services, an IT accessibility testing organization, announced today that Molina Healthcare has been granted a limited right of use of WeCo’s Access Approved® logo for the Medicare section of its website. With this development, Molina Healthcare is ensuring that all aspects of their Medicare healthcare system and plans are accessible for all users including those living with disabilities and utilizing assistive technology. The Wehrman Collaborative (WeCo)…hosted on May 4 visitors from the United Arab Emirates (UAE). WeCo Founder Lynn Wehrman and the group of international visitors who are current and emerging leaders in disability issues discussed compliance with IT accessibility requirements and standards for which WeCo tests its clients’ websites. Two WeCo Accessibility Specialists demonstrated technology commonly used by Internet users living with disabilities. Learn more about WeCo through our older press releases and clippings found in our archive.